Darryl says his brother Darrel went missing when he was hunting for bearalope. 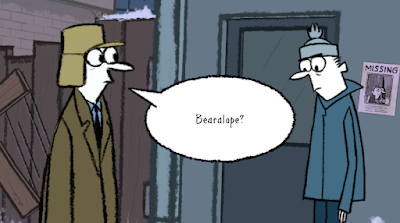 The bearalope comes from Graham Annable's Dank webcomic on the Telltale website. Also, the brothers Darryl and Darrel are most likely a reference to the brothers Darryl and Darryl from the 1980's American sitcom, Newhart.